Kate Hudson writing for InStyle: A personal essay. 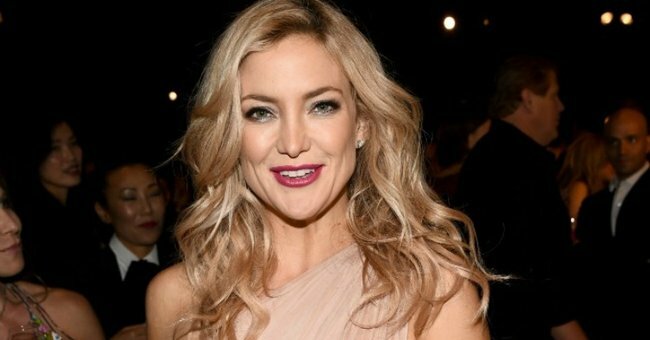 Kate Hudson: "I feel like a bad mum." Kate Hudson appears as funny as she does clever, and sweet as she does self-effacing. She has, and perhaps always will, have that golden-girl aura about her, and will forever be pinned by the media as the unqualified girl-next-door of Hollywood. Whether it’s a facade or not remains to be seen. But one things for certain is that she is more than happy to keep the perception going. In this month’s US edition of InStyle Magazine, Hudson has put her wit, charm and intelligence to good use, penning an essay talking about the perils and positives of motherhood. Of note is Hudson’s frank admission that she doesn’t always feel like the perfect mum. Not by a long shot. Hudson with her sons. Image via Getty. It&apos;s a bold, but not unsurprising acknowledgement from Hudson that not everything is perfect behind the scenes. But she does admit from time to time she is a bit of a "wild mum" simply due to the fact she became a mother so early in life. “I was really young, like, 23, when I had Ryder. So, our relationship has always been [a little unusual]," she wrote. But it&apos;s this notion of her chaotic, "wild" life that&apos;s central to her ability to be a good mum, Hudson believes. And that being able to work while raising children is fundamental to that. Women confess times they&apos;ve felt like terrible mothers. Post continues after video. “I wouldn’t be the best mom I could be if I didn’t follow my creative endeavours. And what about helping her children with homework? It appears Hudson ain&apos;t much of a fan. “Yes, I help my kids with their homework. But I also get bored doing it. Hudson, 36, has son Ryder, 12 and Bingham who is 4.